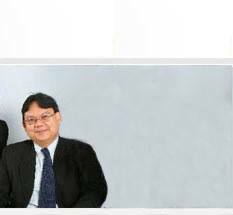 The firm was headed by a senior partner, Andrew Michael S. Ong, who is an intellectual property rights educator and patent consultant. He is also an alternative dispute resolution (ADR) practitioner and a consultant of the Philippine Judicial Academy of the Supreme Court of the Philippines. Atty. Ong was a Deputy Director General of the Philippine Intellectual Property Office from 30 March 2009 to 31 December 2012. As Deputy Director General of the IP Philippines, he was involved in policy-making and enforcement to protect the best interests of IP owners. The firm has offices located in Cebu City and Metro Manila as well as correspondents in different parts of the world. The firm's Manila office is headed by a trademark lawyer, Ana Liza Bagay-Villamor, who specializes in global intellectual property registrations which the firm does extensively for both local and foreign intellectual property owners. The firm's Cebu office is managed by an intellectual property litigator, Jose Maria Clint B. Fabiosa, who specializes in enforcement and litigation, including seizure and confiscation operations of counterfeit goods. The Firm’s patent department is headed by Engr. Isagani I. Reyes, a veteran patent examiner of the Bureau of Patents of the Intellectual Property Office of the Philippines. We welcome you to explore our online firm brochure. Please Contact us if you wish to know more about the firm and its partners. Read more about our Strategic Profile. The Office of Bagay-Villamor & Fabiosa was originally the legal department of Penshoppe, a Philippine apparel and lifestyle marketing company with over 500 outlets in the Philippines as well as 5 foreign franchisees. The firm was created in 1995 initially to provide comprehensive legal and intellectual property-related service exclusively for Penshoppe. For this purpose, the firm operated two offices in strategic locations in the Philippines and forged regional alliances and partnerships with foreign correspondents in different Asian countries.